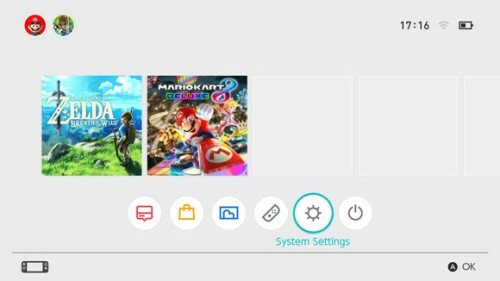 When you do things like link a Nintendo Account or post screenshots to social networks, websites will be displayed on the console. 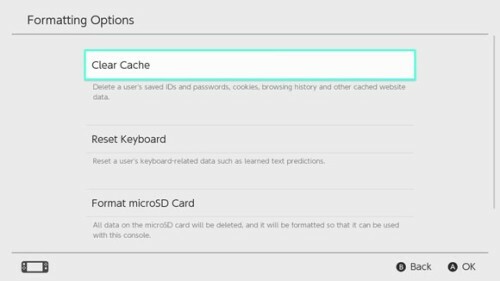 You can delete the data stored for these websites, including IDs and passwords, cookies, history and the cache, for each user on the Nintendo Switch console. Open System Settings on the HOME Menu, then select System ⇒ Formatting Options ⇒ Clear Cache. Select the user you'd like to clear the cache for, then follow the on-screen instructions.